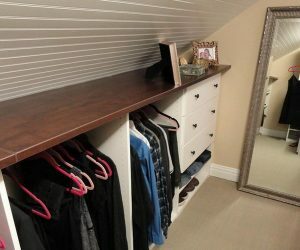 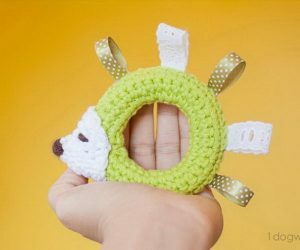 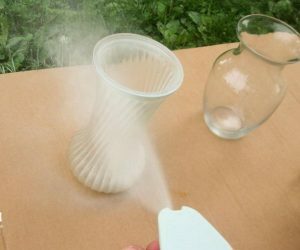 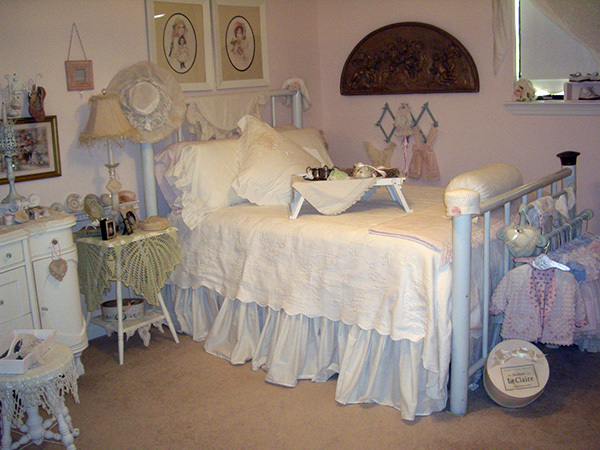 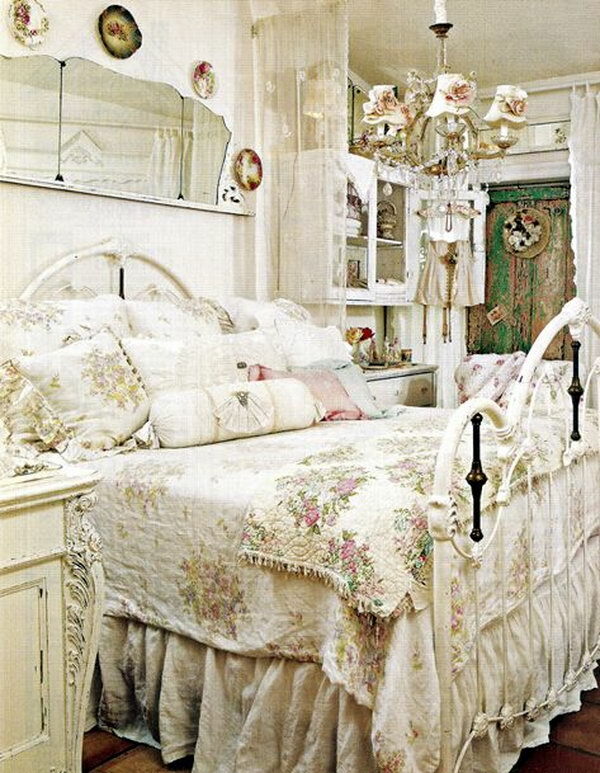 Shabby chic style, also known as cottage style, is a feminine and soft style of decorating, originated in 1989 with the designer Rachel Ashwell, according to Catalogs.com. 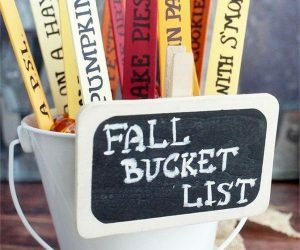 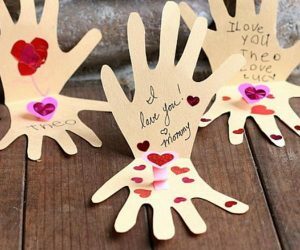 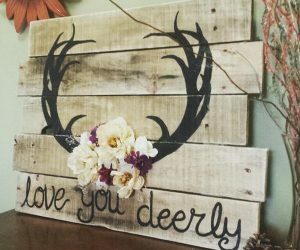 It’s a romantic, fun and vintage way to decorate rustically. 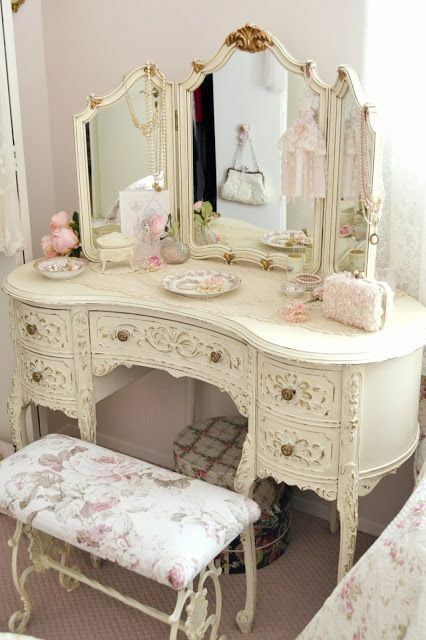 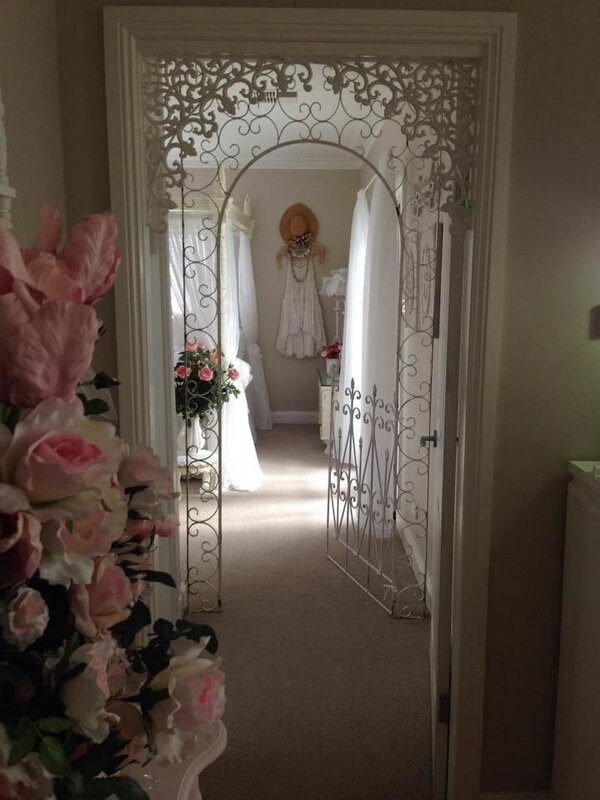 Shabby chic style grows in popularity in any interior design these days. 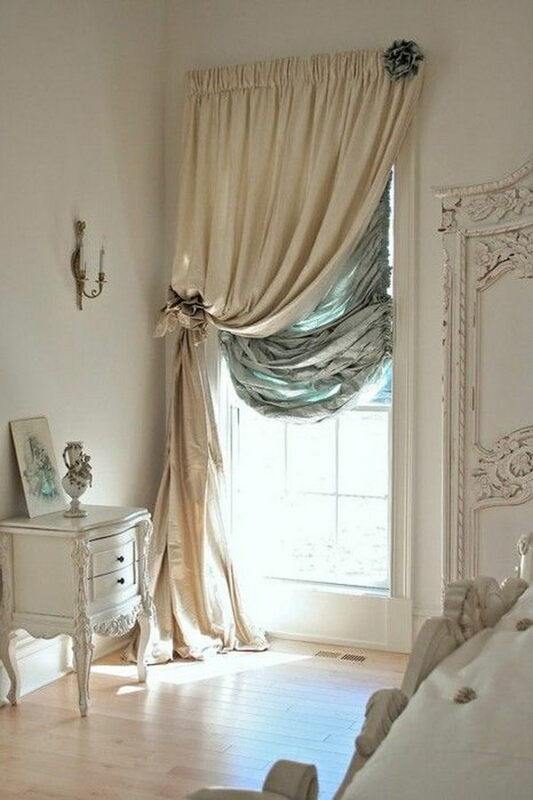 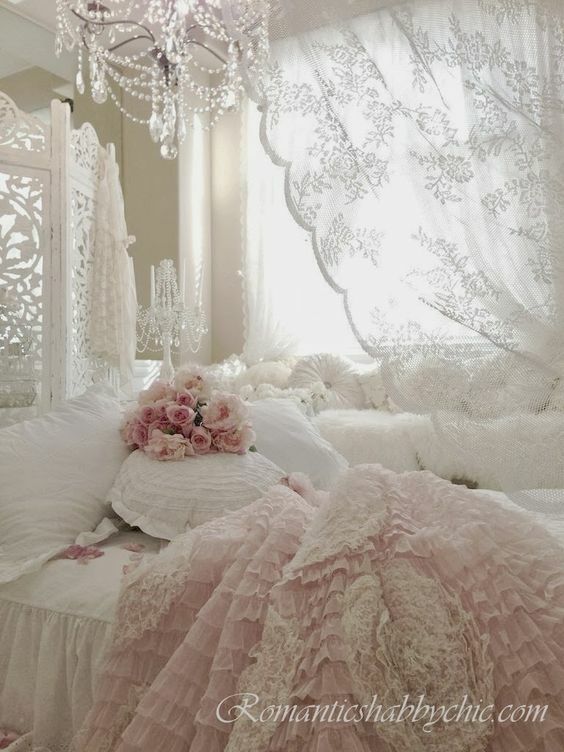 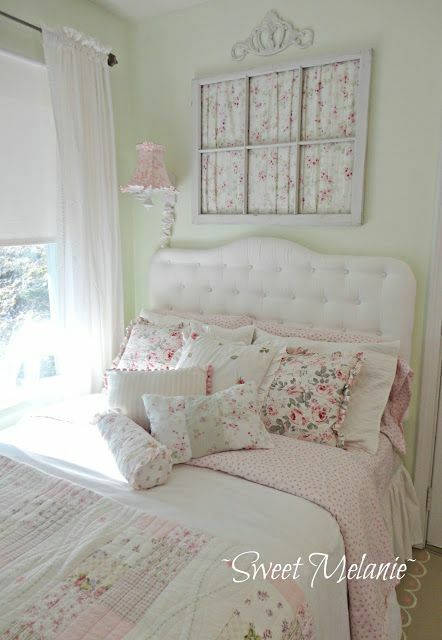 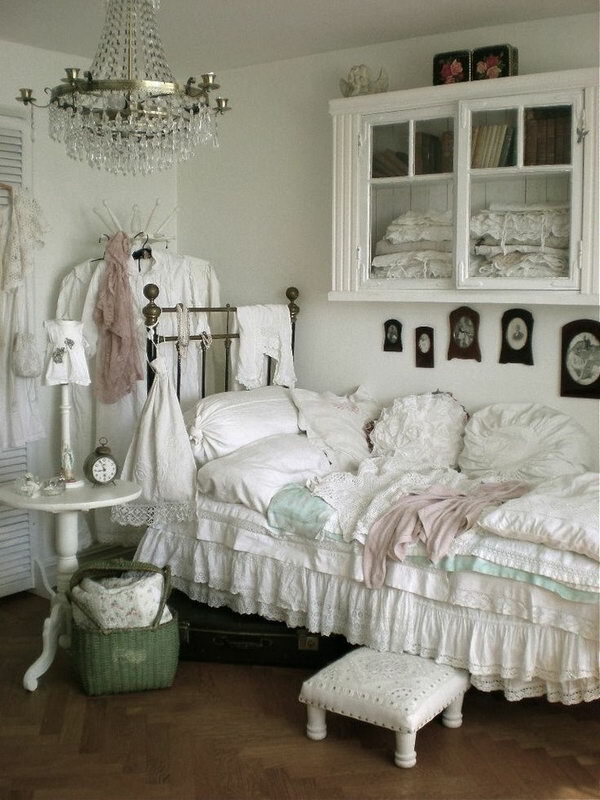 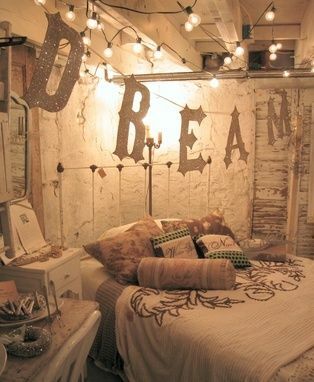 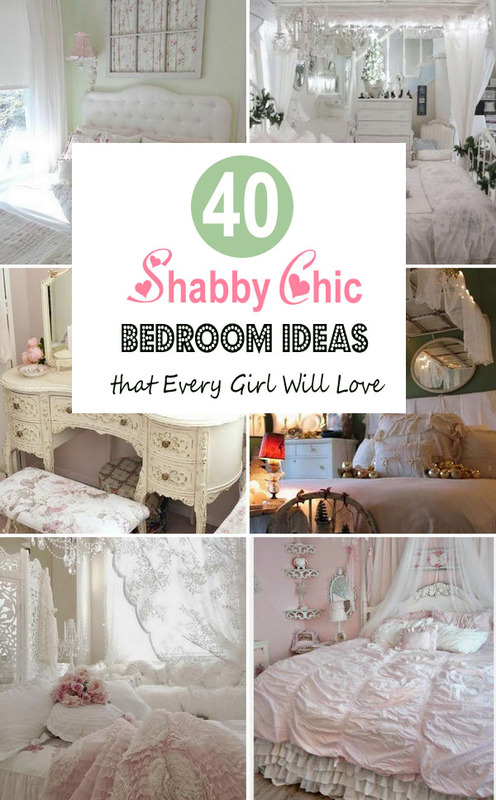 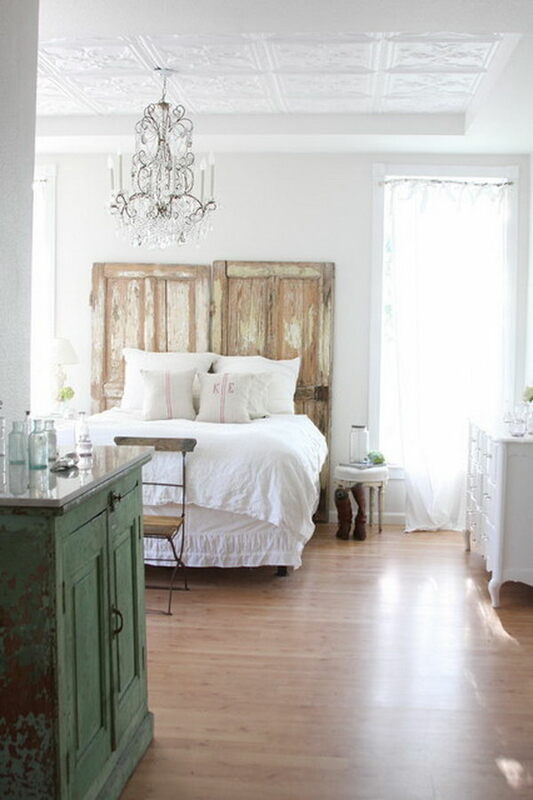 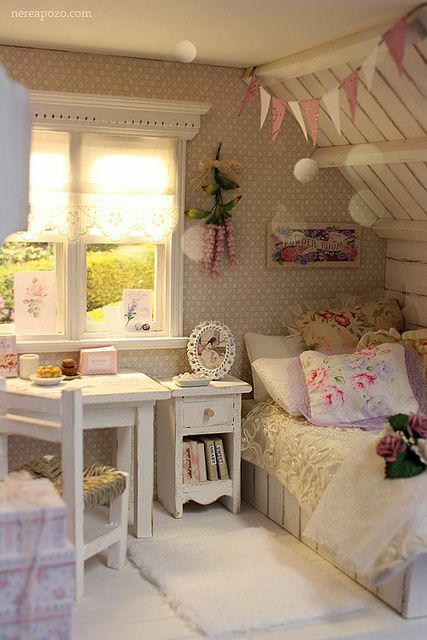 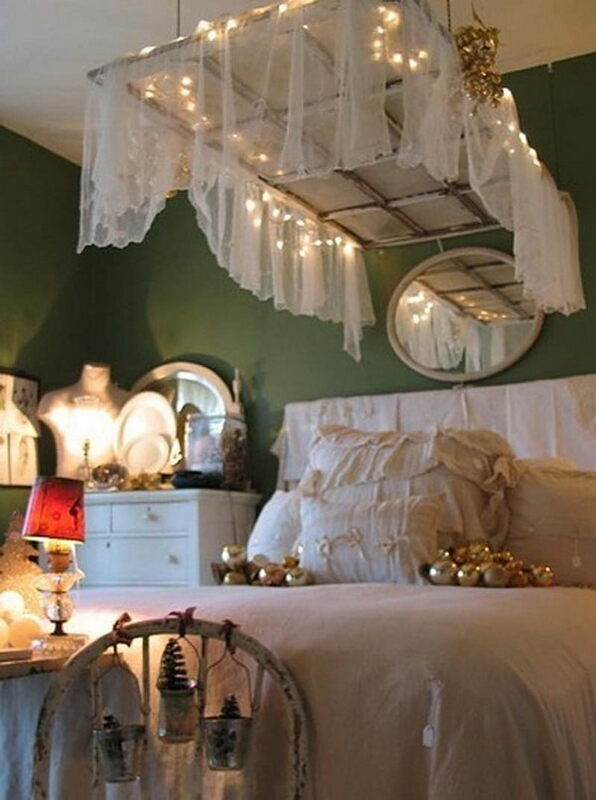 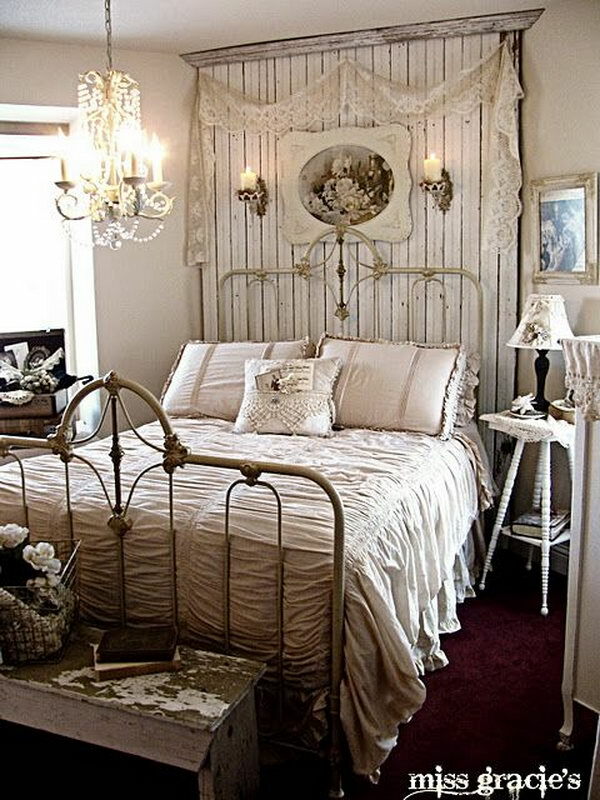 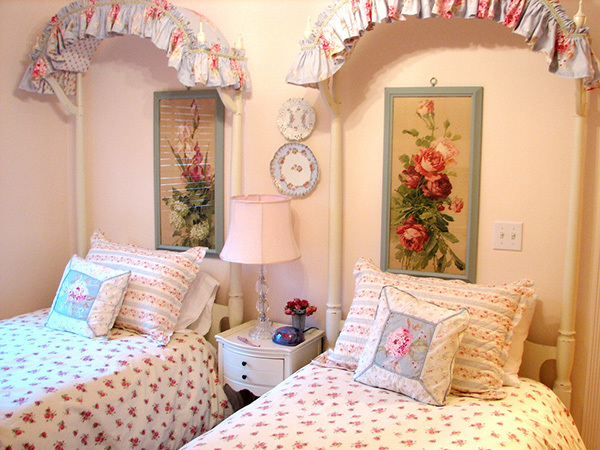 In this post, we are talking and giving you some of the best ideas of shabby chic bedroom ideas. 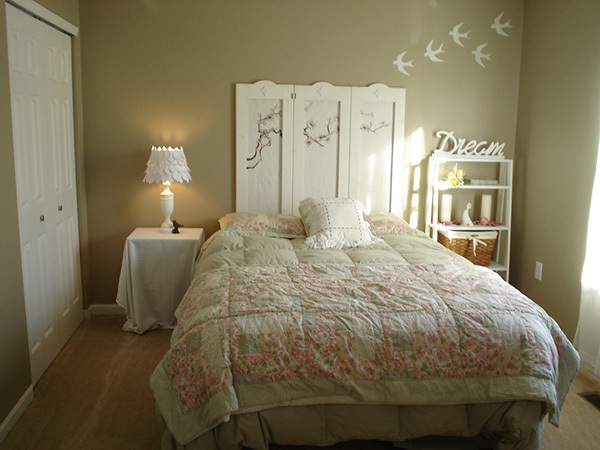 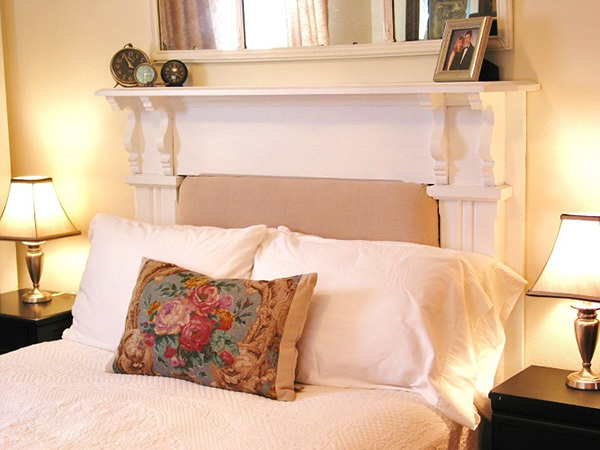 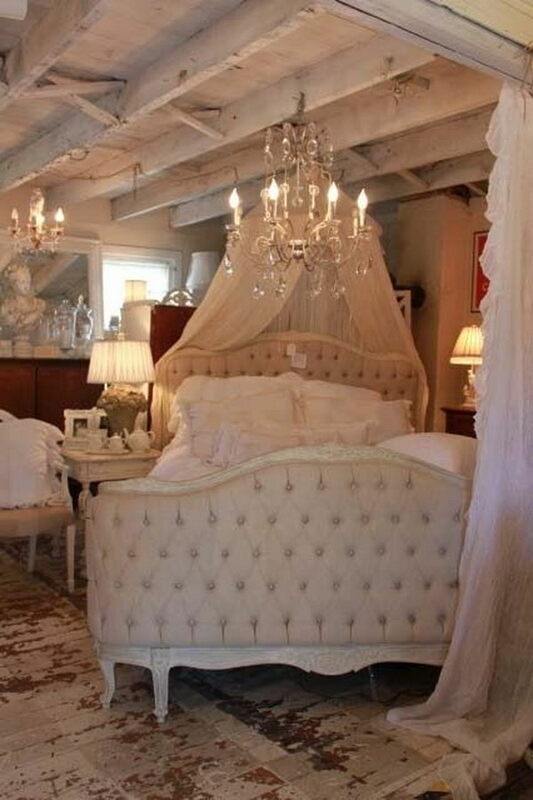 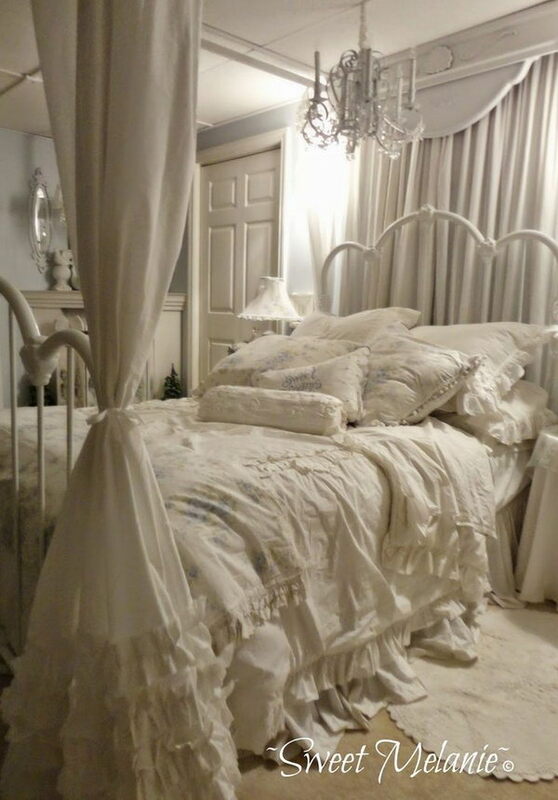 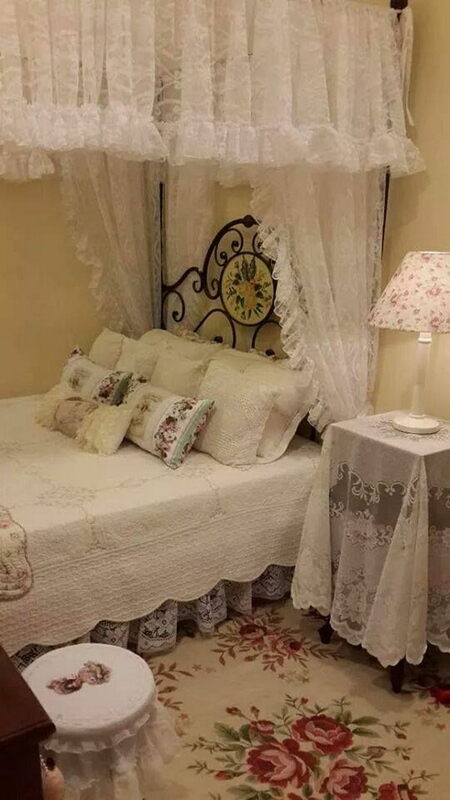 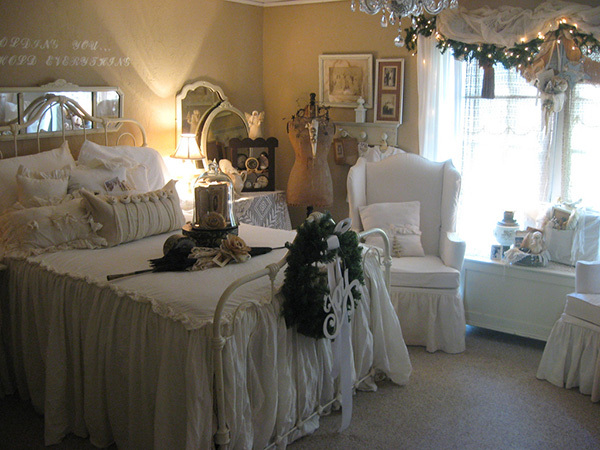 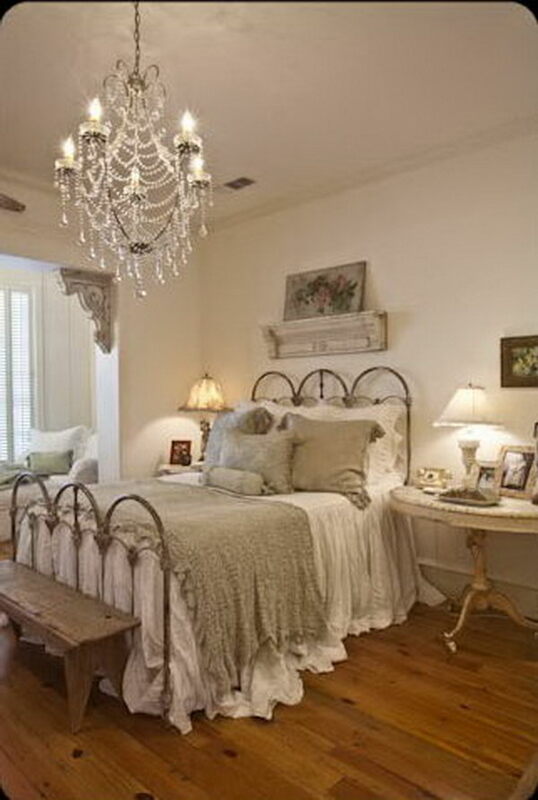 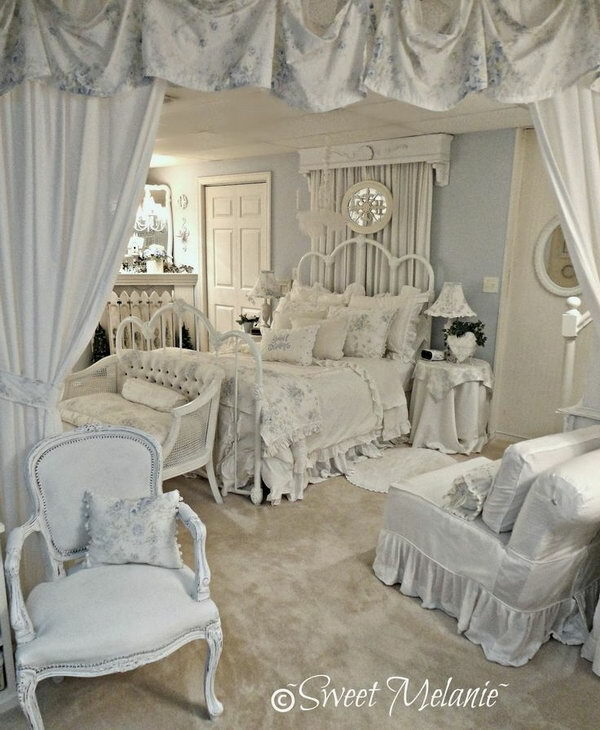 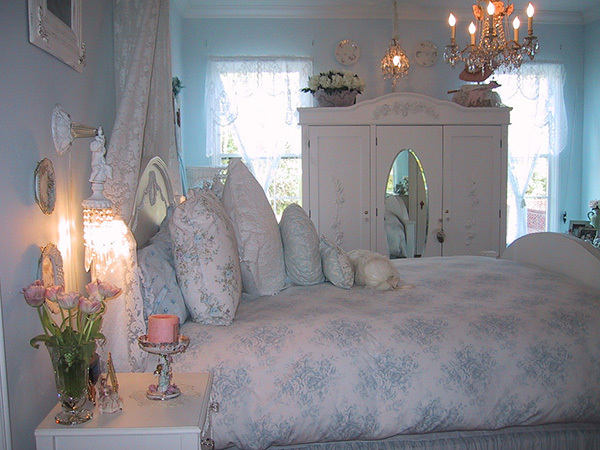 A “shabby chic” bedroom emphasizes the ultimate in comfort. 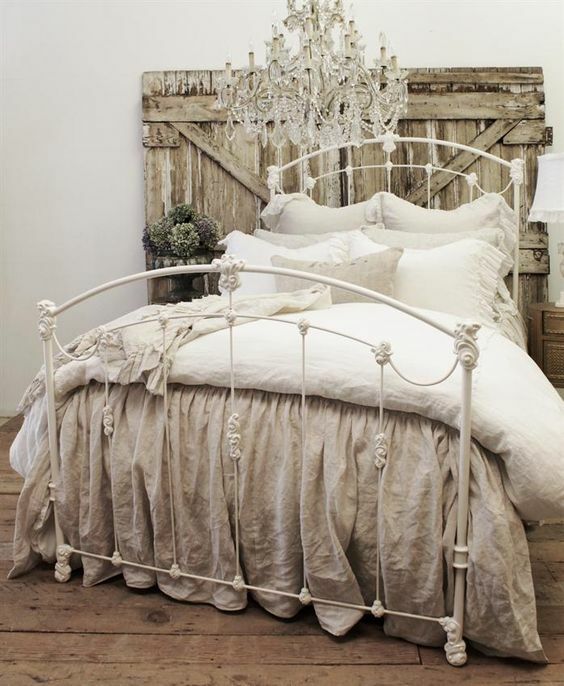 It usually selects decorative and cottage furniture pieces deliberately for their aged, slightly worn, vintage appearance to create a look of very artsy, slightly bohemian vibe and worn elegance. 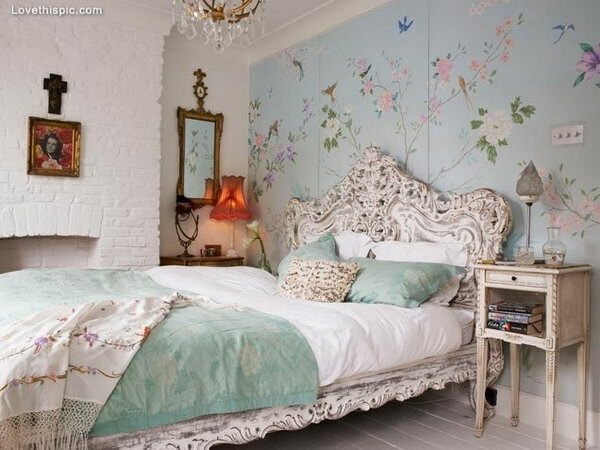 For example, industrial metal bed frames are particularly good choices for the shabby chic style bedroom because the metal can be easily painted and distressed to match the colors of the room. 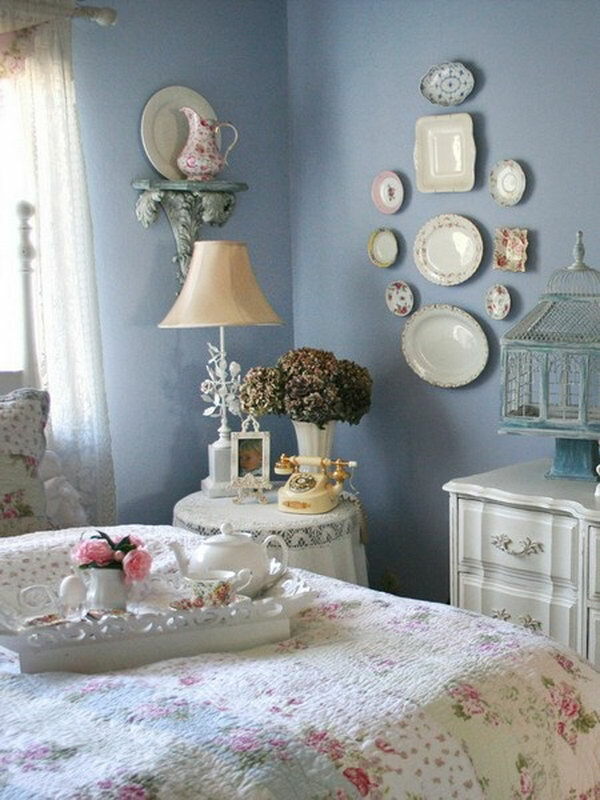 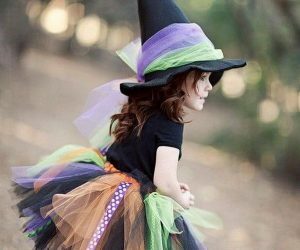 Besides, shabby chic bedroom often favors soft pastel colors, floral motifs, mixed fabrics based on a unified palette and simplicity or sameness of lines and shapes. 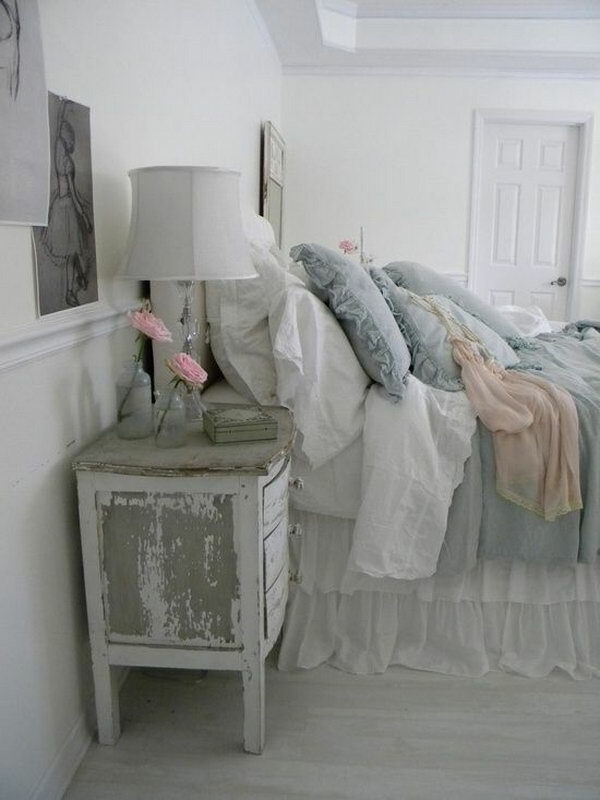 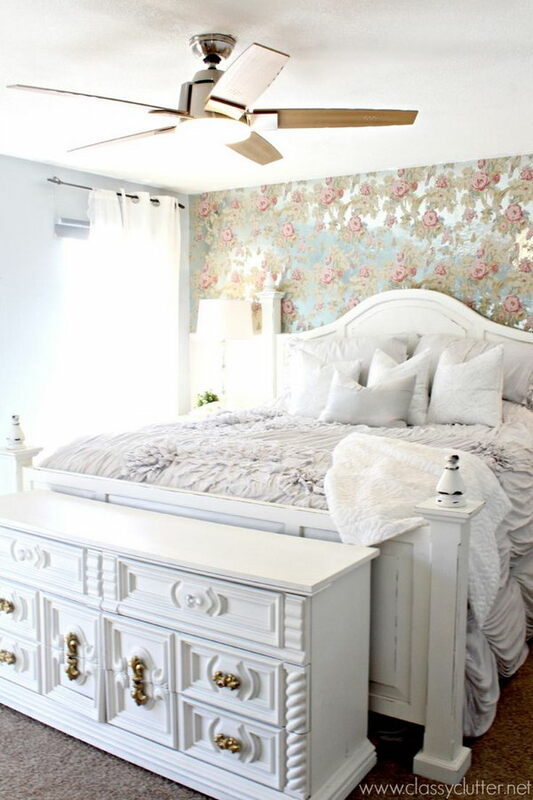 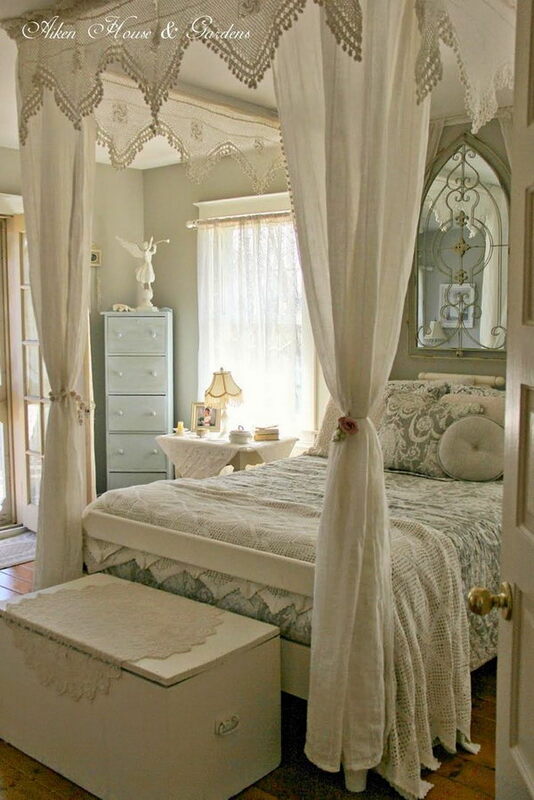 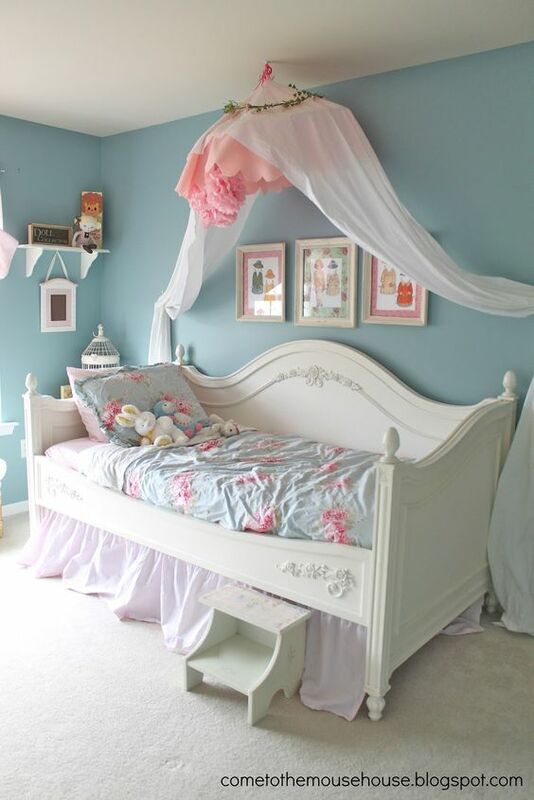 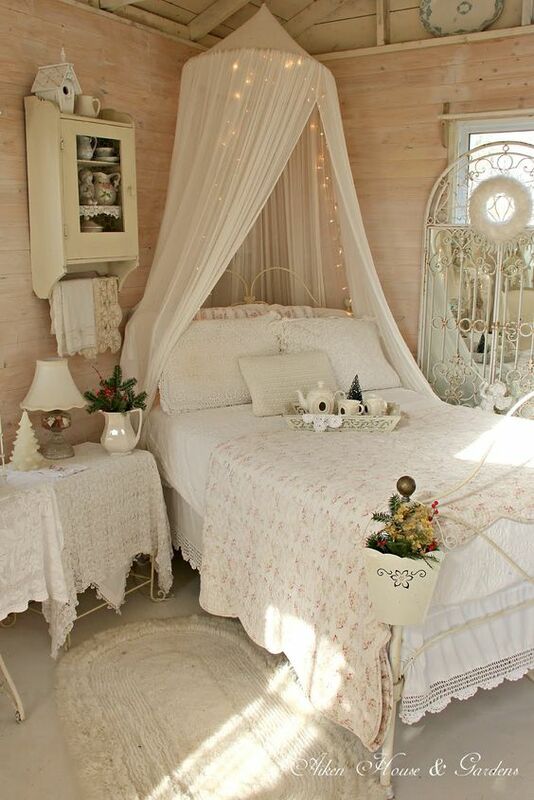 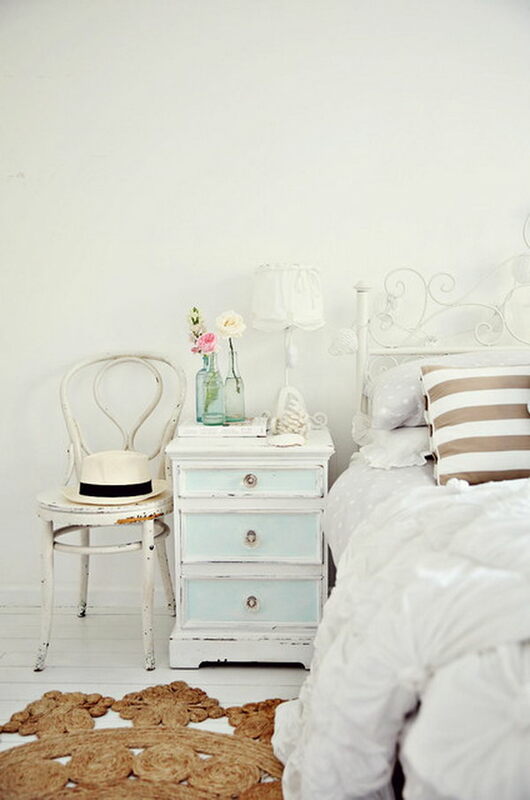 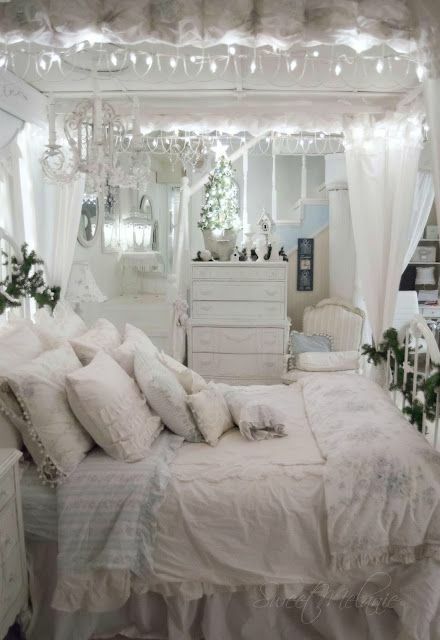 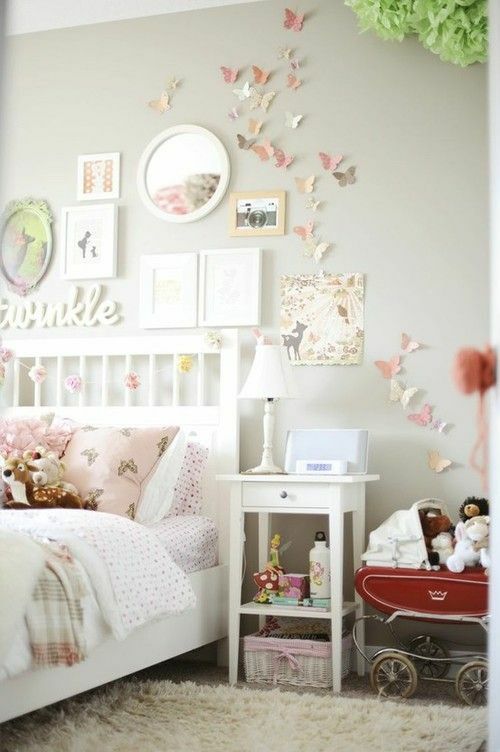 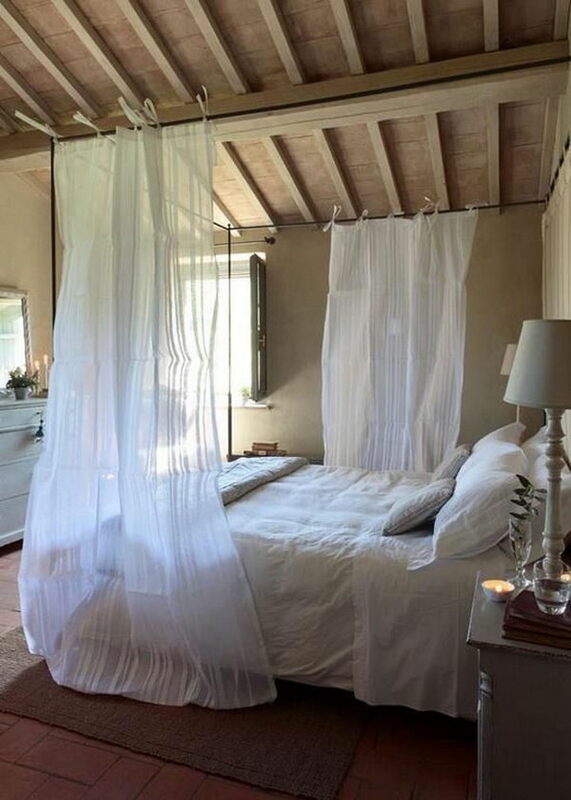 In this post, we have rounded up some shabby chic bedroom ideas for your inspiration. 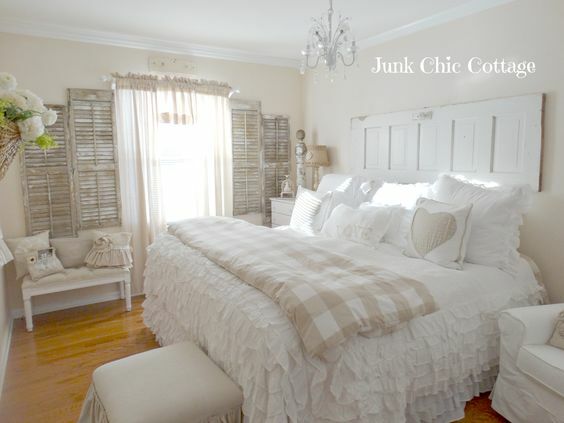 Check out these shabby chic accessories, furniture and colors, as well as contemporary takes on classic cottage style. 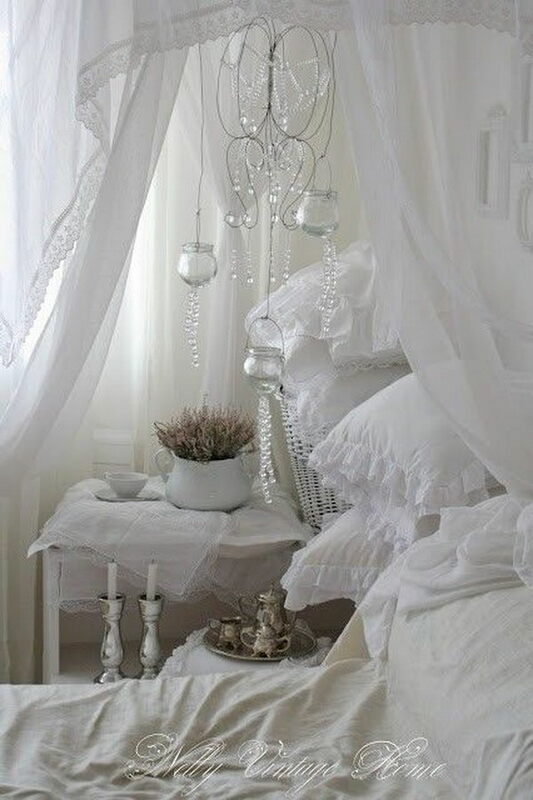 You will find whether it’s for your whole room or a quaint reading nook, shabby chic design is always a go-to style for comfy and cozy bedrooms.